From The New York Times Book Review: �"Engagingly presented." From �Publishers Weekly, Starred: "Caldecott Medalist McCully's lucid narrative and crisp period illustrations illuminate the early life of an impressive visionary." From School Library Journal: "Told in a style that is not only easy to understand, but that is also a good read-aloud. . . .will inspire interest in women and children as inventors." From The Horn Book, Starred: �"Not only is Mattie Knight's life marvelously inventive, but her story is as well." From Kirkus Reviews: "It's a beautiful looking book." From Booklist: "McCully draws children into Knight's life by emphasizing. . . her resolute stance against the restrictive gender roles of her time. �Watercolor scenes invoke the drama." From Bulletin of the Center for Children's Books: "Successfully conveys the drama of Knight's life and her focused intensity." 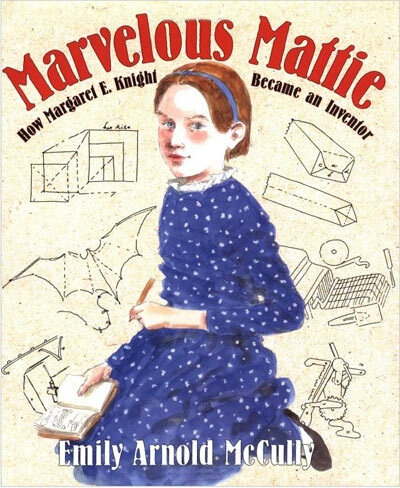 From Washington Post Book World: "Invites kids to think about the history of women and scientific innovation." From The Christian Science Monitor: "Girls are sure to love 'Marvelous Mattie' for its real-life spunky heroine... But boys and girls alike will love it for its celebration of curiosity and persistence - and the joy that comes from following your heart."